Native to Europe, plantain was transported to North America in the earliest days of colonization. The prolific weed was tagged “white man’s foot” for its proclivity to show up wherever settlers worked the land. Today, plantain plagues homeowners in countries around the world. While it doesn’t spread as quickly as many lawn weeds, even a few of these less than lovely plants can detract from the overall appearance of the landscape. A soil-hugging plant that grows in flat rosettes of bright green, spoon-shaped leaves, plantain kills grass that attempts to grow beneath the dense mats. Spiky, greenish-grey flowers appear atop long stems throughout summer and autumn. Plaintain grows from a sturdy, fibrous root system, but it spreads by thousands of tiny seeds. Although it’s adaptable to nearly any condition, plantain often grows in thin, scalped lawns and hard, compacted soil. You’re also likely to find it in sidewalk cracks and between paving stones. Keep your lawn in tiptop shape. Water and fertilize regularly but not excessively. Set your mower a little higher than usual to avoid scalping your lawn. Mow frequently during the summer to chop off seed stalks before they go to seed. Hand-pull plantain if you’re dealing with only a few small weeds. Monitor the patch closely and pull any sprouts that emerge. You may need to use a shovel; even tiny bits of roots left in the soil will generate new plants. You can also use a ready-to-use weed killer to target random weeds. Apply a post-emergent herbicide formulated for lawn weeds. Post-emergent products are most effective on young, actively growing weeds. They can be used on mature weeds, but repeat applications will probably be necessary. 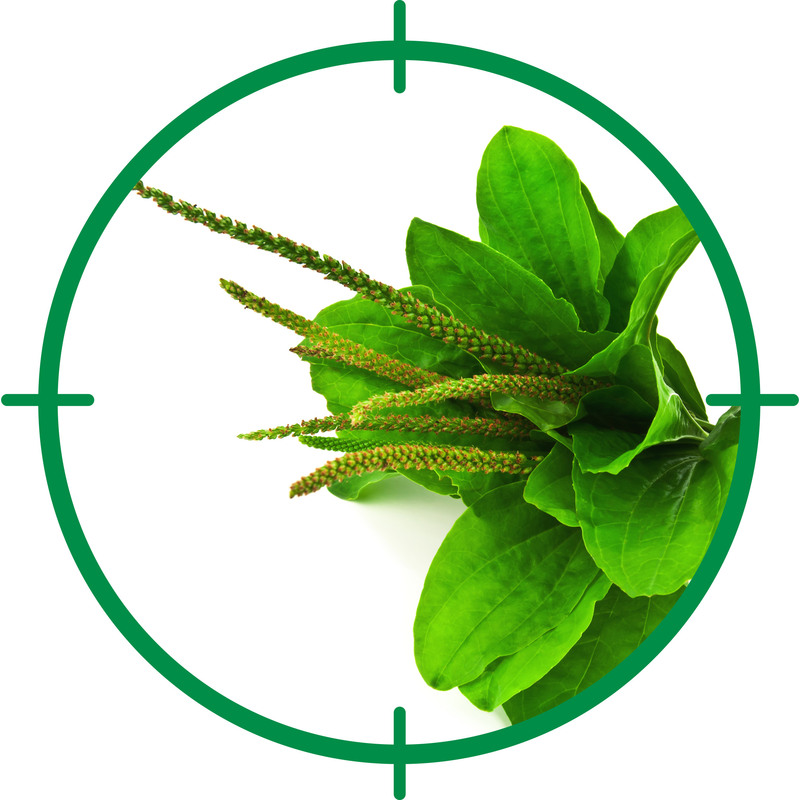 If necessary, use post-emergent herbicides in fall to reduce the number of plantain popping up the following spring.